DoAffiliate.NET - Affiliate CPA network reviews and details. DoAffiliate.NET - the best international CPA network working strictly in financial vertical. Looking to increase your earnings? Prefer quality over quantity? Working in 30 countries with 5 offices around the world we have built more than 600 successful campaigns. Lighting fast payouts plus early payments upon request. Please, contact us via emails above! I haven't found any disadvantages yet... I run credit offers on Spain and have stable payouts. Support is nice, simple statistics, all is pretty clear and easy. 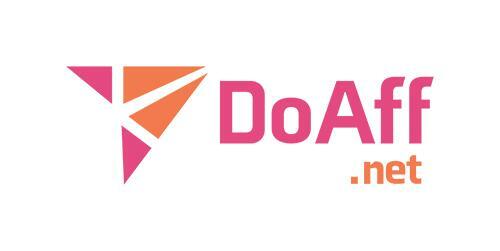 I read an article about this network and was very interested to check DoAffiliate. So I am going to run their offers. Guys, who can recommend it? I have clicks on their offers but no conversions. For 4 months I earned nothing! Also I have problems with my account... Don't know, maybe I do smth wrong? Anyway, I don't recommend this network! Convenient interface, responsive managers, payments on time, a large selection of tools. In general, everything is simple and convenient. The best financial affiliate network. I quickly get used to good things, already works for 12 months and I am not going to change this folks. If you are planing to start media buying in the finance niche this company is the right choice, not only for start but for the future development of working relations. They surely has the best finance offers, from the point of payout and trust. There were four months passed, since we have cooperating with doaffiliate, they pay always in time, approval rate is really high and what is more importamt they have the best offers in the finance niche. DoAffiate is the greatest network. Their system, Tracking system, offers and communication(Honourable DoAffiate manager is very responsive) and they paid me on very time.Adcombo is the best network for me compared to others. In front of other networks in the finance niche, I would say this is the best one. 1. They pay in time 2. High approval rate 3. Best payouts for the offers Thank you guys, let make more money together!